The obsession of recognizing snacks and foods has been a fun theme for experimenting the latest machine learning techniques. 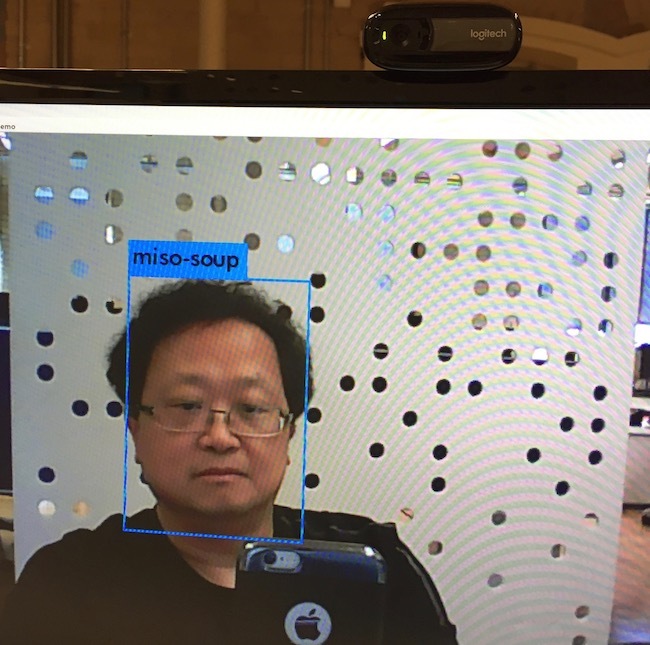 The highest goal will be a computer vision system that can do real-time common foods classification and localization, which an IoT device can be deployed at the AI edge for many food applications. The Snack Watcher in the previous post Snack Watcher using Raspberry Pi 3, which is using the classical machine learning techniques on the extracted image features, the recognition results are far from impressive. Due to the difficulty of hand-crafted features are affected by background objects, lightings, object position in space and object category variations. In order to reduce the error rate, the environment is required to be fine-tuned; subsequently, the environment assumptions become unrealistic that cannot be deployed in real-life settings. With the latest improvement on Convolutional Neural Network (CNN), the image classification accuracy has been leaps and bounce in recents years (since 2014). In many instances, AI can recognize objects better than human expert. 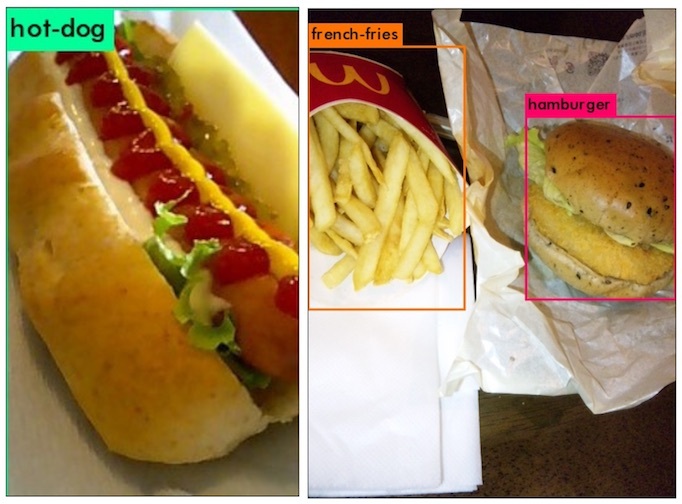 As a food detection’s technologist, the Deep Learning method is the future of food watching. The usual difficulty with the Deep Learning is the requirement of a large dataset. 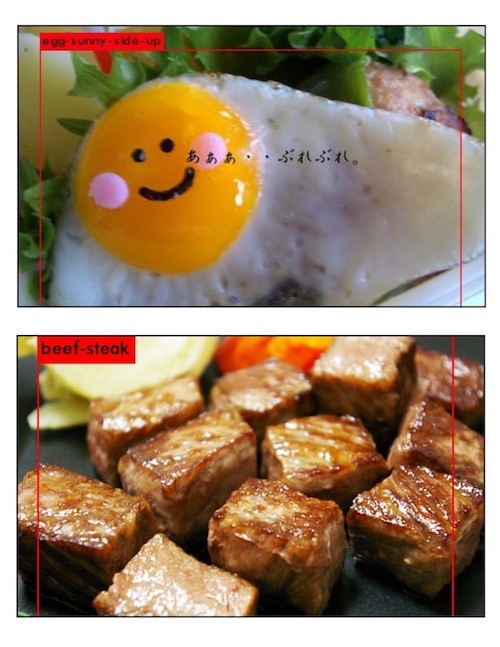 Instead of investing great labor to collect the required food images, I have located the Food100 dataset UEC FOOD 100 (from Food Recognition Research Group at The University of Electro-Communications, Japan) contains 100-classes of food photos. 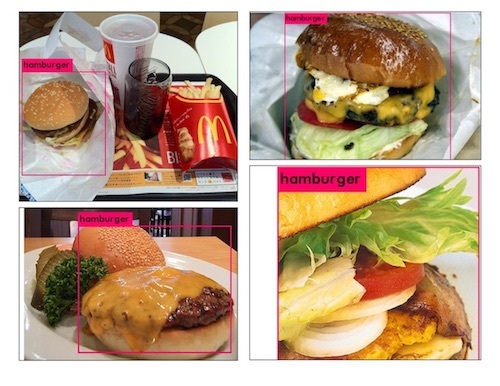 Each food photo has a bounding box indicating the location of the food item in the photo. This is a perfect dataset to replace Snack Watcher to the all-encompassing Food Watcher. Even though most of the food classes in this dataset are popular foods in Japan, with Toronto’s international food culture, we don’t have a hard time to recognize most of the classes, such as “green salad”, “hot dog” and “hamburger”. The training result should still be interesting in our western culture. Here is the result of YOLO Real-Time Food Detection on a 720p video stream, running on a Nvidia GTX TitanX, is ~70 fps! Continue reading this article to understand, setup and train a custom YOLO Neural Network to achieve this result. Before explaining the latest and greatest YOLO object detection, it is worth to understand the evolution of object detection to appreciate the contribution of YOLO. The image classification is given an input image, presenting to CNN, predicts a single class label with the probability that described the confidence that the prediction is correct. The class with the highest probability is the predicted class. This class label is meant to characterize the contents of the entire image; it does not localize where the predicted class appeared in the image. For example, given the input image in Figure below (left), our CNN has labeled the image as “hot-dog”. As for object detection, builds on top of image classification and seeks to localize exactly where in the image each object appears. 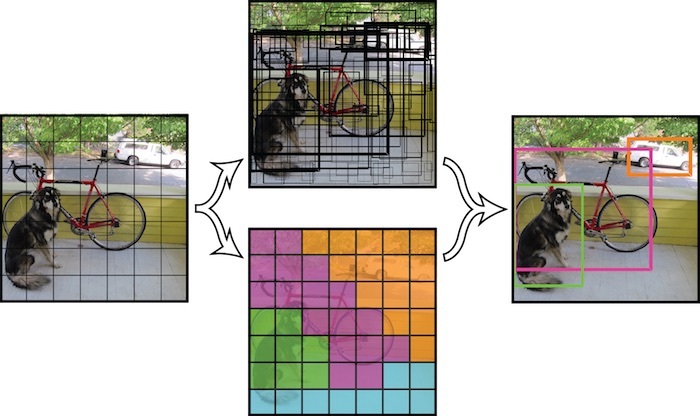 Figure above (right) demonstrates an example of performing Deep Learning object detection. Notice how the “hamburger” and “french-fries” are separately classified and localized with bounding boxes. Therefore, object detection is the additional algorithmic complexity on top of image classification. In addition to object detection, the ultimate challenge is how fast the detection can be done. To reach acceptable “real-time” performance, the expectation is at least 15 fps (frames per second), i.e. running the object classification and localization at ~67 ms per image. For the longest time, the detection systems repurpose classifiers or localizers to perform object detection. They apply the model to an image at multiple locations and scales. High scoring regions of the image are considered detections. Thanks to Joseph Redmon’s Darknet implementation https://pjreddie.com/darknet/yolo/, YOLO uses a totally different approach. It applies a single neural network to the full image. This network divides the image into regions and predicts bounding boxes and probabilities for each region. These bounding boxes are weighted by the predicted probabilities. Interest reader should study the original “You Only Look Once: Unified, Real-Time Object Detection” paper https://arxiv.org/abs/1506.02640. This is definitely refreshing to see the implementataion written in C language, still the performance king. YOLO model takes the whole image at test time so its predictions are informed by global context in the image. It also makes predictions with a single network evaluation unlike systems like R-CNN which require thousands evaluation for a single image. This makes YOLO extremely fast, running in real-time with a capable GPU. 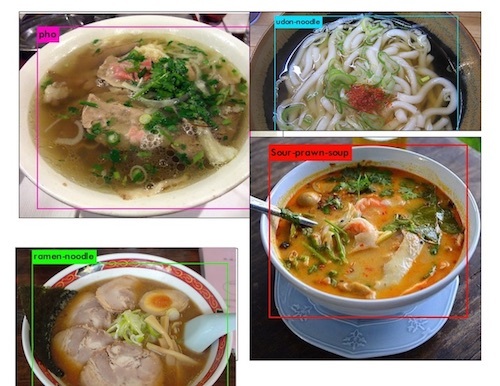 We shall train a customized YOLO Neural Network using Darknet with the Japanese Food100 dataset! 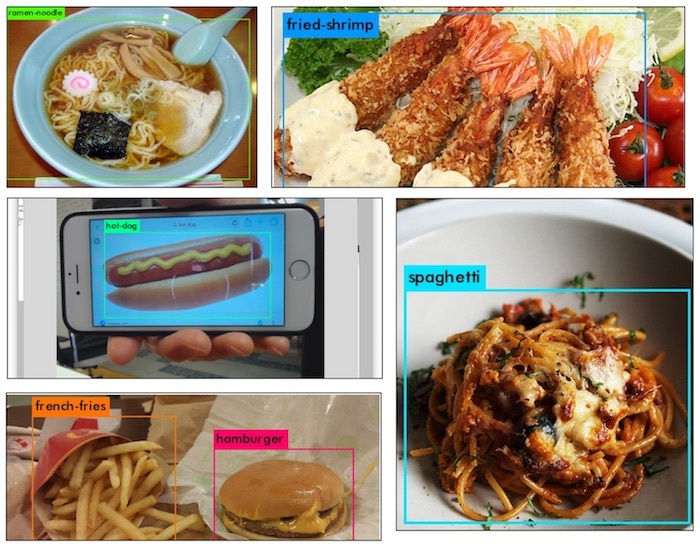 The Food Watcher will become the most advanced AI which can recognize the common food in real-time. Hopefully, AI will show more sympathy with human needs of these beautiful carbohydrate compounds (aka. food). The following instructions concentrated on describing YOLO v2 setup and training. First of all, you need download and install Darknet https://pjreddie.com/darknet/install/. A very similar procedure for YOLO v3, with some configuration difference. We shall not confuse the discussion in this article. 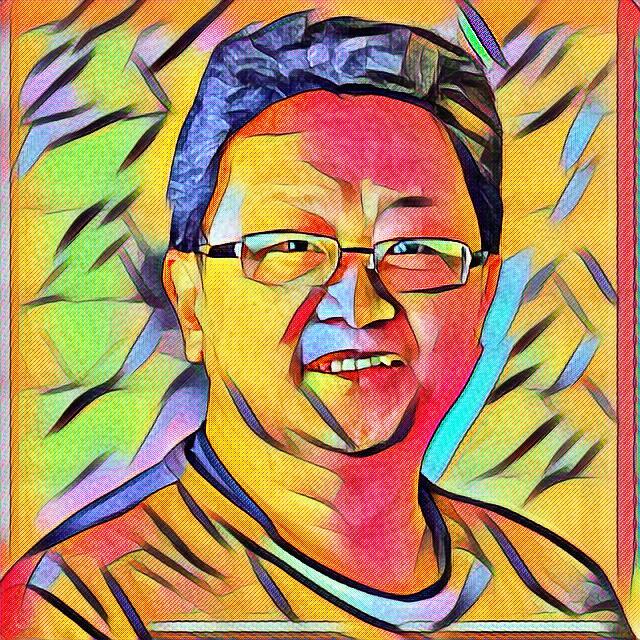 Here is my github https://github.com/bennycheung/Food100_YOLO_Tools of tools to help, check them out if in doubt! It also contains my configuration .cfg, class name .names and data location .data files described later. They are designed or modified to work with Darknet requirements for bounding box and training data. 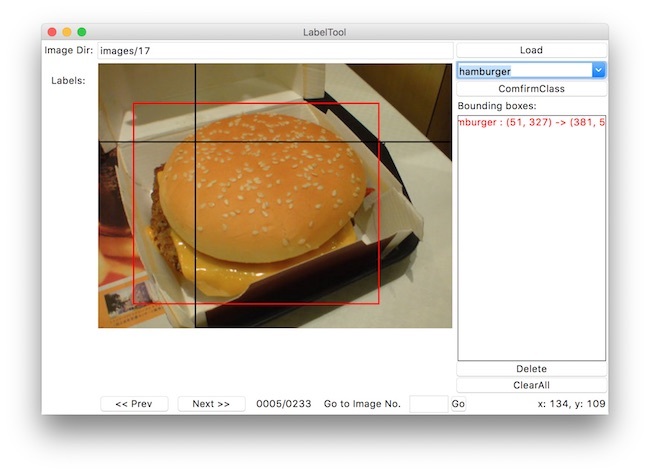 food100_generate_bbox_file.py - python script to take each of the Food100 class image directory bb_info.txt and create individual bbox files. food100_split_for_yolo.py - python script to split all Food100 class images into (1) train.txt training image list and (2) test.txt validating image list. 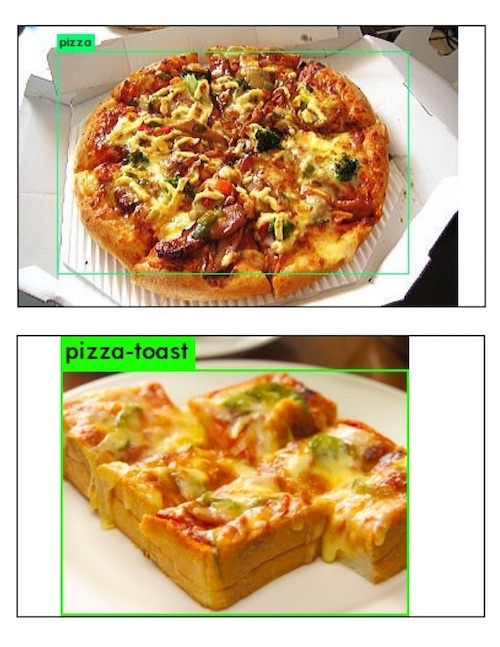 food100_tk_label_bbox.py - python script using UI to help drawing bbox associating with the images. After downloaded and unpacked the Food100 dataset UEC FOOD 100, it requires post processing to make bounding box that fit into Darknet’s YOLO training requirements. Originally, I forgot to subtract 1 for the [object-class-id]; that’s make me thinking the training is broken! After re-align to 0 based [object-class-id], the detection shows correct results. Darknet YOLO expected a bounding box .txt-file for each .jpg-image-file - in the same directory and with the same name, but with .txt-extension, and put to file: object number and object coordinates on this image. If we named our food100 image directory as images, then Darknet will automatically look for the corresponding .txt in labels directory. For example, images/1/2.jpg will look for corresponding label in labels/1/2.txt file. I like this approach because we can keep the editing bbox in images/1/2.txt, while the labels/1/2.txt is the bbox format required for YOLO training. Obviously, change the data [path] to your specific data locations. There should be no image coming from the validating dataset. There should be no image coming from the training dataset. The class names specified in, food100.names Subsequently, the class id is 0-based, i.e. rice is class 0. There is no class-id, just names in this file. We need to create a configuration file yolov2-food100.cfg. The meaning of batch and subdivisions is how many mini batches you split your batch in. batch=64, loading 64 images for this “iteration”. subdivision=8, split batch into 8 “mini-batches”, so 64/8 = 8 images per “minibatch” and this get sent to the GPU for process. That will be repeated 8 times until the batch is completed and a new iteration will start with 64 new images. When batching you are averaging over more images, the intent is not only to speed up the training process but also to generalise the training more. If your GPU have enough memory you can reduce the subdivision to load more images into the GPU to process at the same time. For training we use convolutional weights that are pre-trained YOLO on Imagenet. We use weights from the Extraction model. You can just download the weights for the convolutional layers darknet19_448.conv.23 from YOLO authors website. When you see that average loss 0.xxxxxx avg no longer decreases at many iterations then you should stop training. Before running the test, make sure editing the configuration yolov2-food100.cfg file to use batch and subdivisions to 1 image. 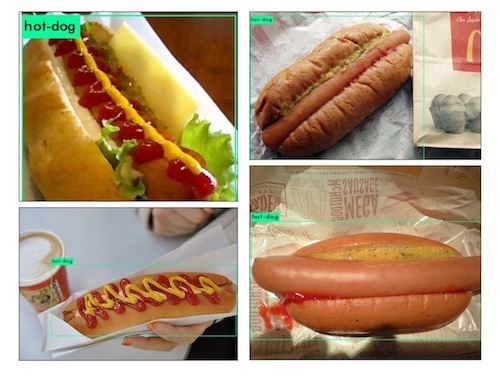 Even since the HBO show Silicon Valley released a real AI app that identifies “hotdogs — and not hotdogs”, recognizing hotdog is the golden test standard for any food detection. Recognizing soupy things - when the food is presented in a soup form. The submerged content did not confuse the YOLO. The egg-sunny-side-up with a smiley face cannot hide from the detector. The cut up beef-steak is still detected. Nothing can hide from the AI perceptive power. It understands what is a pizza against a pizza-toast. May be the AI can tell the difference by the shape.